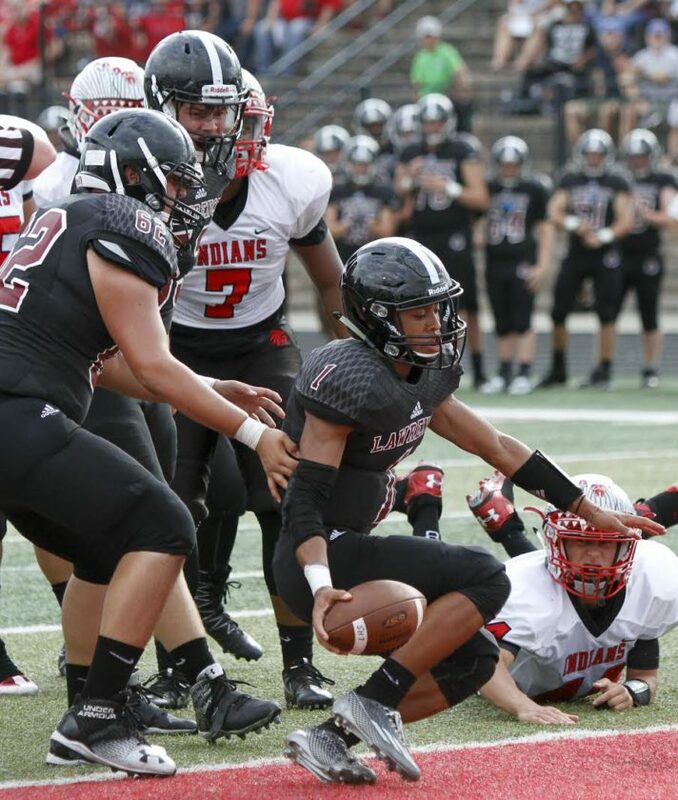 Lawrence High School quarterback Dante Jackson (1) crosses over the goal line for a touchdown in the 1st quarter of the Lions win against Shawnee Mission North Friday night at LHS. 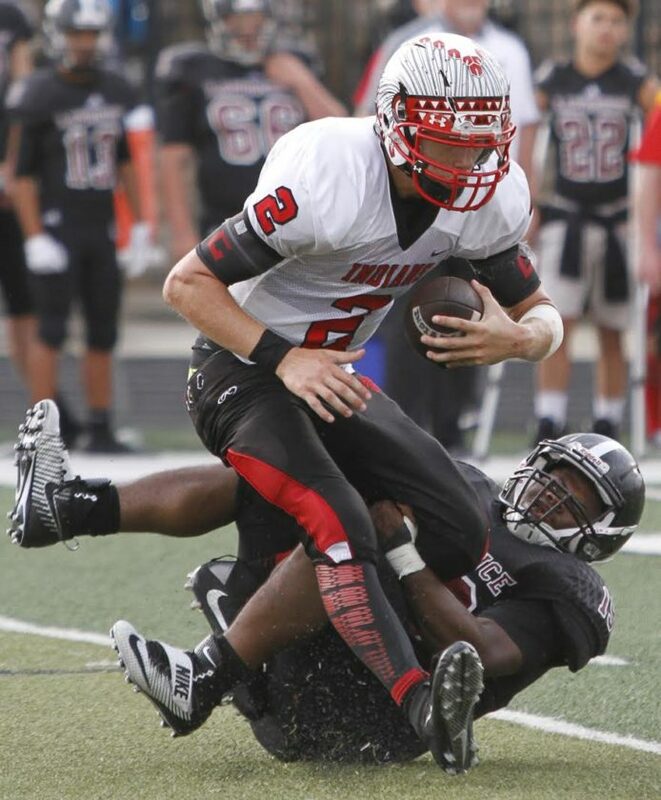 Jake Unruh (7) tackles Shawnee Mission North quarterback Will Schneider in the Lawrence Lions win Friday night at LHS. 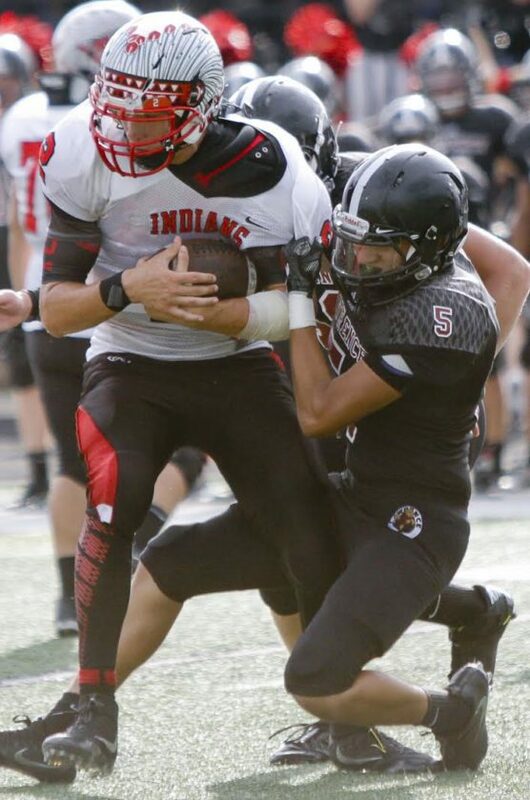 Lawrence Lion defender Brandon Jimenez sacks Shawnee Mission North quarterback Will Schneider in the Lawrence Lions win against Shawnee Mission North Friday night at LHS. Lawrence Lions running back Trey Moore (38) powers through a hole and past defenders in the Lawrence Lions win against Shawnee Mission North Friday night at LHS. 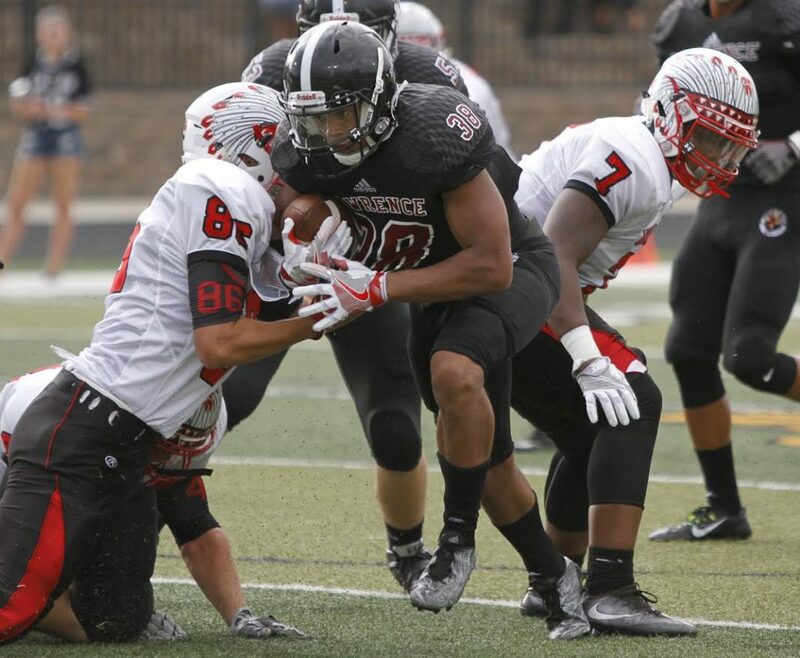 James Murray (19) right, sacks Shawnee Mission North quarterback Will Schneider in the Lawrence Lions win against Shawnee Mission North Friday night at LHS. 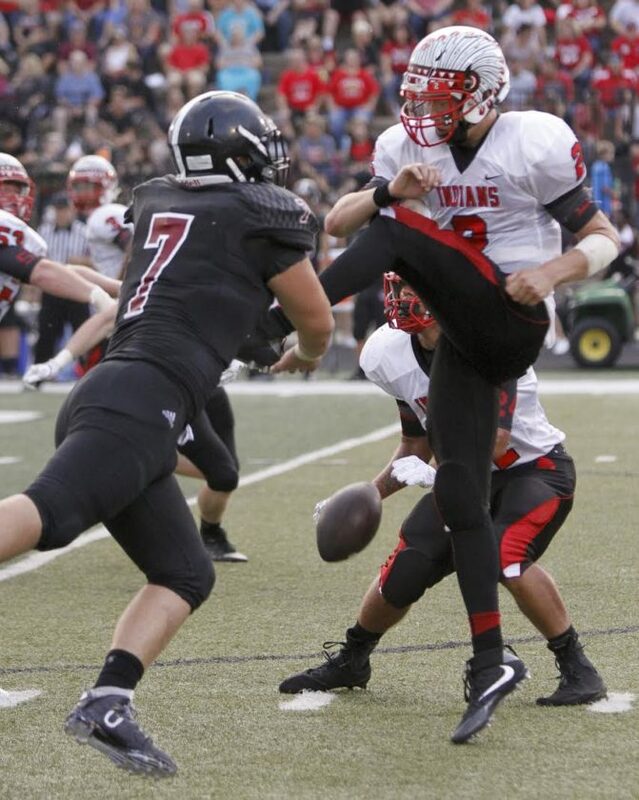 Jake Unruh (7) blocks a punt by Shawnee Mission North's Will Schneider in the Lawrence Lions win Friday night at LHS. 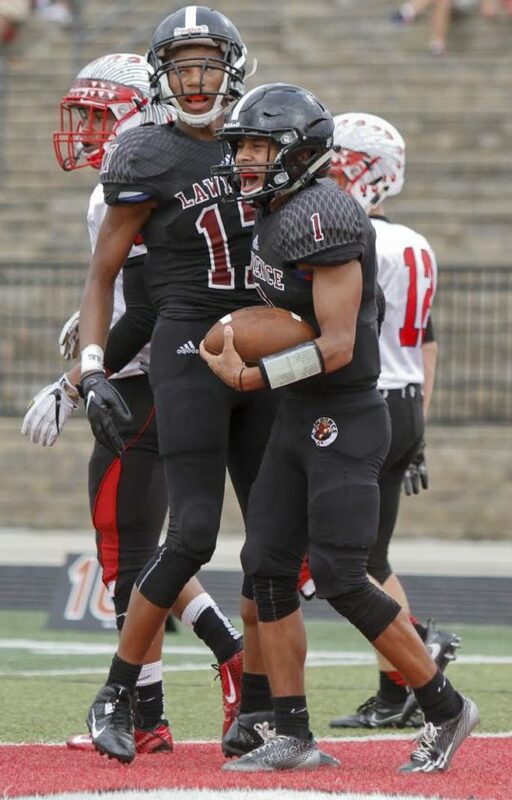 Lawrence High School wide receiver Clarence King (17) and quarterback Dante Jackson (1) celebrate a Jackson touchdown in the Lions' win against Shawnee Mission North Friday night at LHS.